A Texas-based apartment developer has started construction on a senior living community in Frisco. 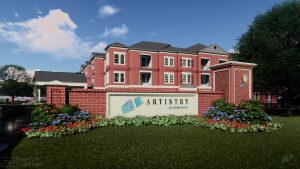 Presidium’s Artistry at Edgestone rental community will have 188 units with independent living cottages. To read more, visit the Dallas Morning News website.